“The world needs banking but not banks” - which banks can successfully regenerate and which will wander a long (or perhaps short) path to extinction? More than 66% plan further cost cutting initiatives over the next twelve months. A PwC survey of 176 Banking & Capital Markets (BCM) CEOs across 62 countries reveals the huge challenges facing banks globally. Challenges with the global economy, poor business performance, heightened risks such as Cyber, ongoing regulatory burdens and seizing the opportunity from emergent technology mean the pressure on banking CEOs has not been greater since the financial crisis. Findings from the report ‘Creating a platform for competitive regeneration’, which forms part of PwC’s 19th Global Survey of over 1,400 CEOs globally, highlights the threats to banks prospects. Banking & Capital Markets CEOs see over-regulation (87%), the speed of technological change (81%) and geopolitical uncertainty (76%) as really impacting their banks. The combination of higher capital charges, liquidity demands and compliance costs is forcing many to abandon what had once been profitable mainstays in their business. More than 66% plan further cost cutting initiatives over the next twelve months. Restructuring across the market will continue with more than 10% of Banking & Capital Market CEOs indicating they plan to sell a majority interest in a business or exit a significant market over the next 12 months. Sixty-four per cent of Banking and Capital Markets CEOs plan significant changes in the way they define and manage risk in response to customer and stakeholder expectations. The scope of risk management is broadening to adapt to fundamental changes in markets, business models and transactions. The key differentiator is being able to see risk coming, contain it early and adapt quickly. Technology is transforming customer expectations, lowering barriers to market entry and opening up growing competition from FinTech entrants. Almost every Banking & Capital Market CEO believes it is the trend most likely to transform customer, regulator and other key stakeholder expectations over the next five years. Ciarán Kelly, Head of Advisory, PwC Ireland added: “Our survey shows Banking & Capital Market CEOs see customer relationship management systems (80%), data analytics (75%) and social media communications and engagement (56%) as the top three areas of technology that will yield the greatest returns in terms of engagement with wider stakeholders. Nearly three-quarters (72%) of Banking & Capital Market CEOs view the limited availability of key skills as a threat to growth. The impact of technology requires more people with both banking and digital skills. Few as yet possess these hybrid capabilities. Competition to attract them isn’t just coming from traditional peers, but also FinTech start-ups and technology groups looking to develop their presence within the Banking & Capital Markets and wider financial services market. With technology comes a new and escalating raft of cyber and broader financial crime risks – nearly three-quarters of BCM CEOs see cyber threats as a barrier to growth. Banking & Capital Market organisations have always been in the frontline of the fight against cybercrime, though they are only as strong as the weakest link. Stakeholders are demanding more from banks, not just in the value they deliver to them individually, but also in their contribution to society as a whole. In response, 30% of industry leaders say their organisation has changed its purpose in the past three years to take account of its broader impact on society. A further 12% are considering this. PwC’s report ‘Creating a platform for competitive regeneration’, is based on the response from 176 Banking & Capital Markets CEOs in 62 countries. 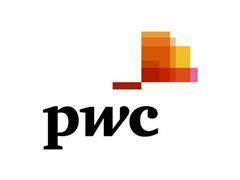 To see the full results of PwC’s 19th Annual Global Survey, please visit www.pwc.com/ceosurvey​.